After #GlitterWeek ended, I felt slightly deprived of sparkles, and so I started experimenting with the NYX Face & Body Glitters to test how versatile they really can be. While I had a ton of fun creating festive makeup looks using these sparkly pigments, I wanted to see how they would work on other parts of my body – like my nails! I came up with this Christmas-y manicure and I absolutely love how it turned out! It was also really easy too! I started with a black base and used tape to create triangle shapes (like a Christmas tree). After applying a fresh coat of nail polish to act as an adhesive, I generously sprinkled the glitter pigments over the top and let it dry before removing each piece of tape. 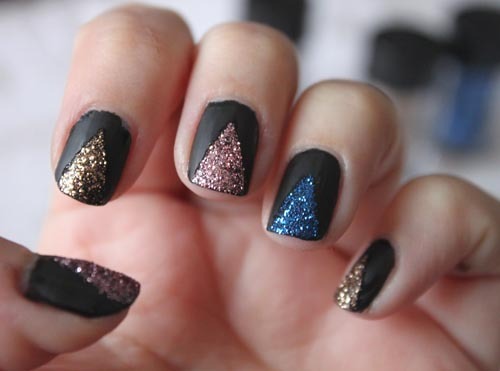 I chose to use pink, blue and gold, but this look can be recreated using absolutely any colour! 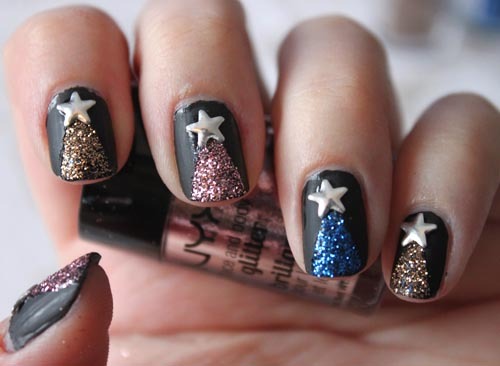 I would suggest trying a white base instead of black to make the glitters pop a little more. 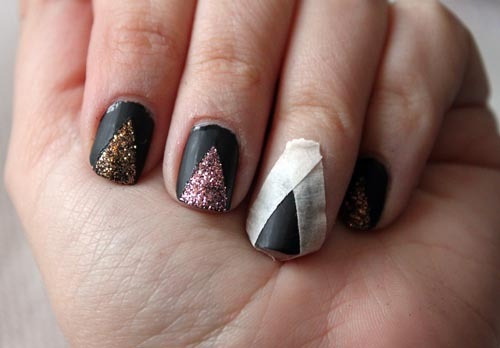 Finally, I glued a star stud at the point of each triangle and the nail art was complete! 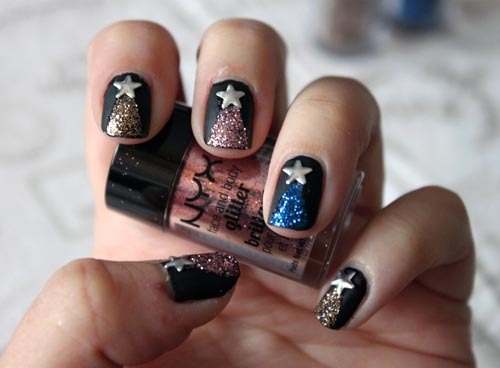 The NYX pigments have silver reflects, so it really looks like twinkling lights shining on a tree.